A unique opportunity to use London City’s First Class Lounge – and be driven to your plane – for FREE! 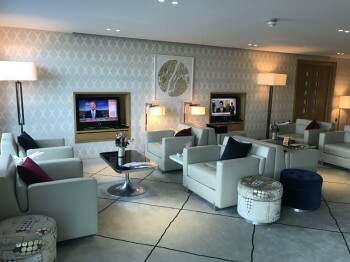 Two years ago we reviewed London City Airport’s new First Class Lounge in the Private Jet Centre. 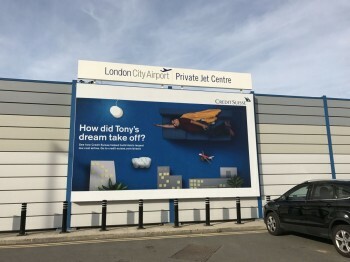 Yes, London City Airport DOES have a lounge – in fact, two lounges – but not many people are aware of it as they are not in the main terminal. Instead they are located in the Private Jet Centre and the First Class Lounge comes with true VIP treatment, as you will see. However …. when it launched, BA passengers were not allowed to use the lounge. Now they are. 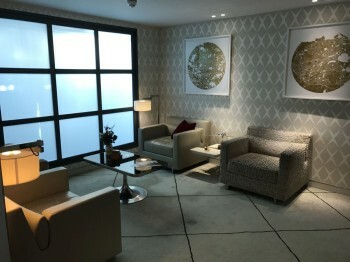 If you are flying British Airways from London City Airport – except for the New York flight – you ARE now allowed to use the First Class Lounge in the Private Jet Centre and be driven to your aircraft. Even better, a handful of people can now use it FOR FREE. 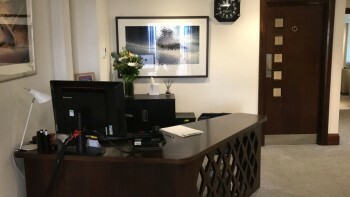 You usually have to pay £95 for the privilege, although arguably – for anyone who values their time and especially anyone who charges hourly rates and can squeeze in some extra billable hours this way – it can be a good deal even if you pay. I will run through the benefits of the First Class Lounge in a minute. First, let’s look at the offer. Take a look at this page of the London City Airport website. To celebrate the new British Airways route to Rome from London City Airport, the first 50 people to book a ticket to Rome can claim a FREE pass for the London City Airport First Class Lounge, and be driven to the aircraft. We know that a lot of Head for Points will jump at the chance of giving this a go, even if a trip to Rome hadn’t been on their bucket list at the moment. You need to book your flight via the London City Airport flight booking portal. As part of your booking, you add passes to lounge for £95 each. At check-out, you add the promo code ROME50 and the cost of the lounge is deducted. If all 50 passes have gone, the promo code will be rejected and you don’t need to go through with your flight booking. Flights depart at 10.50 Monday to Friday and 15.05 on Sundays. What will I get with the First Class Lounge? This is what I found when I reviewed the First Class Lounge in November 2016. I am assuming that nothing has changed since then, but be aware that the pictures below are out of date. The pictures are also a bit fuzzy as they are on an old iPhone! 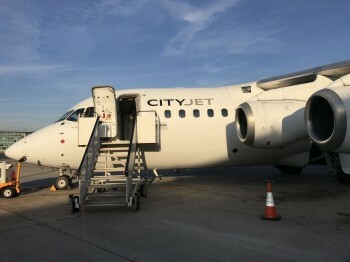 London City arranged a free visit for me in conjunction with a CityJet flight review we were doing at the time. My trip didn’t start too glamorously with a trip on the Jubilee Line and the DLR. 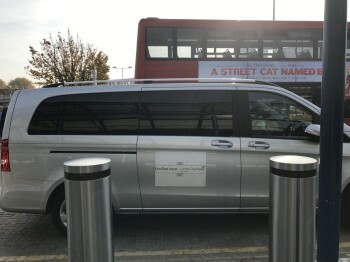 However as soon as I got out of the DLR station at City Airport the First Class Lounge service began. I was greeted with a name sign and escorted to a car. If you are flying with BA and have luggage to check in, you must do this when meeting your First Class Lounge host who will take you to the front of the bag drop queue in the terminal. The car was a mini van – so travelling with family or in a group is possible. 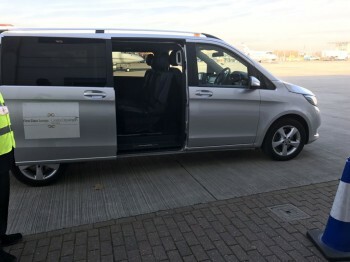 It took only a few minutes from City Airport main terminal to the Private Jet Centre. The First Class Lounge was very bright and classy. It was very quiet when I was there, as in I was the only guest, which was great as I was able to take photos without disturbing people’s privacy (it actually says in the T&Cs that taking pictures is not allowed). Again, remember that these pictures are from November 2016 so there could have been changes. There was a table with snacks and newspapers. At the far back was a shelf wall with magazines. The bar had a good selection of alcoholic and non-alcoholic drinks, as well as a Nespresso machine. In the bar area were another four armchairs. There was breakfast in the morning and sandwiches during the day. 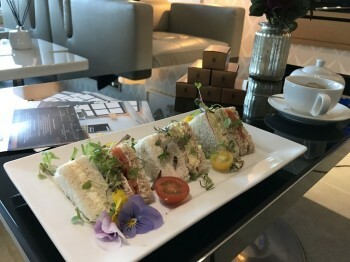 The First Class Lounge doesn’t serve hot food as customers have been happy with what’s been provided, but we were told by the Jet Centre’s manager that there have been guests requesting hot food which was then sourced at additional cost. 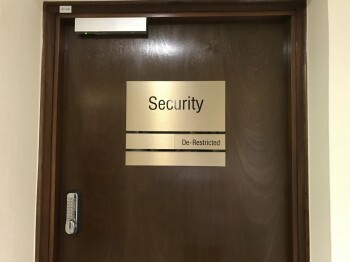 Now to the coolest part – your own security lane! For security reasons I wasn’t allowed to take a picture of this area but it’s like the security lanes at any airport – just smaller. There is only one body scanner and one luggage scanner and the whole process took literally 2 minutes. Outside security was a car waiting to drive me to the plane. Yes, to the plane! The best and last part of the First Class Lounge service is to be driven all the way to the plane and being the first to board – that is if you are flying in business. Rob has done this a few times in Frankfurt when flying First Class with Lufthansa but it was a new experience for me. I was flying CityJet that day as British Airways did not allow its passengers to use the service back in 2016. If you are on an economy ticket you will need to wait until after the top tier customers have boarded. To give an even better idea of what the First Class Lounge is about, I made a short video. If you want to subscribe to our YouTube channel and be notified about future videos, click here to visit our YouTube channel page. You can also watch the video via that page if it does not appear below. If you’re not planning a trip to Rome, you can book the London City First Class Lounge for £95 per person via the airport website. 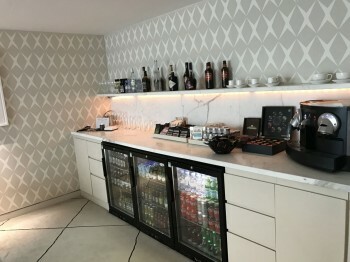 In 2017 London City added a Business Lounge right next to the First Class Lounge. This is more affordable at around £35. The key difference is that you must go back to the main terminal for security and boarding – there is no car service to your plane and no private security channel. My review of the Business Lounge is here. This is the sort of offer which we know will appeal to a lot of Head for Points readers. 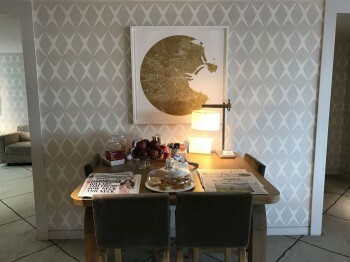 It has been running for a couple of weeks already but is still available (one reader booked it on Monday) although I wouldn’t hang around now that we have publicised it. You also get a short break in Rome, which can’t be bad! You can book the Rome offer via the London City Airport website here. Thanks to Ryan for this. Sadly timings don’t work for Mrs A, but looks like some Sunday flights to Rome, in March at least, are operated by Stobart Air, so a good chance of a better seat, too. ‘We know that a lot of Head for Points will jump at the chance of giving this a go, even if a trip to Rome hadn’t been on their bucket list at the moment’. Seriously – going for an unnecessary trip just to visit the lounge? There are lounges it’s worth going on a partially unnecessary trip to visit, but I don’t think this is in of them. I would have taken this up if the flight was to a relatively interesting place on BA’s European network that I have not been to before (Rome is interesting but I have visited it more than once) and ideally also if the destination had been available as an Economy Avios redemption, unless of course it is a requirement of London City’s flight booking website that the flight itself is booked in to Club class outbound and/or is a cash booking on the main BA website (i.e. not an Avios redemption) in order to qualify for this offer (as I suspect it may well be)? But on the same subject is there a useful list anywhere of the most impressive Club class lounges on a worldwide basis that a BA Club Class ticket will get you in to? And that list may well of course very considerably from the most impressive lounges that a Priority Pass would get you in to……. Surely some club lounge or other must actually offer things like decent fresh fish or meat meals plus smoked salmon or strawberries, raspberries and mangoes rather than BA’s T5 totally miserable chilli and baked potato or only orange or apple as the choice of fruit. Does a BA Club redemption get you in to any of the above HKG lounges? There are numerous Club lounges round Europe that are totally underwhelming. Usually the selection of alcoholic drink is perfectly fine and varied but its the poor choice of hot or cold food and the apple and orange only fruit offering plus the lack of any canapes etc that lets the whole show down. A BA Club (i.e. business class) redemption will get you into the Qantas HKG lounge as well as all the Cathay Business lounges. I booked a £74 economy one way. No class requirement, just that is is booked via their booking portal. Personally don’t think i can justify doing an Avios redemption in to Club rather than Economy short haul on BA these days unless redemption availability in Economy is already exhausted on the days I want to travel on. Seat pitch is now no greater than in Euro Traveller, seats are no wider and on LCY routes there is also no middle seat being kept free to give you extra room. 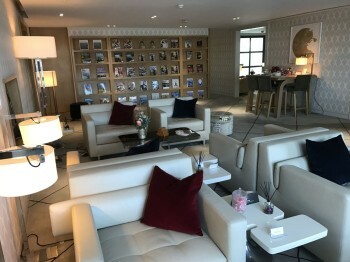 Also having done the north and south lounges at Heathrow T5 several times I think I have exhausted any nominal modest thrills they provide and its a pain having to turn up at the airport a whole extra hour earlier to get the most out of what the lounges have to offer. There is always slightly more thrill in trying out any new Club lounge (as with this LCY allegedly First Class one) but most of them don’t serve food up to even Michelin two knife and forks standard (let alone anywhere near Michelin Rosette standard). @Julian ‘don’t serve food up to even Michelin two knife and forks standard’ are you for real ? why do you imagine they are going to get restaurant quality dining in a ‘free’ lounge ? I ate at AA Flagship First recently, Krug was lovely but the food (as expected) not so much. I feel very lucky that the three PP lounges I use every two weeks (Aberdeen, Basel and Billund) are excellent, and in the case of the last two, the same as the BA lounge for that airport anyway. I think a list of the best PP lounges in Europe would be great! Er………. you are an HfP reader, aren’t you? It is more about changing the destination of a weekend break you were planning anyway, I think! Remember that – purely due to reader request – we once did an article on all of BA’s Terminal 3 destinations so people could plan trips which let them try the new Qantas and Cathay Pacific lounges. Can’t complain at all about Rome itself except that I expect quite a few HfPers will have been there.due to its significance as a short break tourist destination. But at least that means that for those who haven’t been there they have a number of hours to book a ticket rather than the seats all being gone in just a few minutes as I’m pretty sure would have happened had any destination at all served from London City by BA and/or any other airlines been allowed as a possible route option. Julian, methinks you have too much time on your hands. just saying…..
+1 it really is most sad! OT and Urgent: My Halifax Clarity had fraudulent transactions against it last week. I called up and they were very quick to reinstate the spend and cancel the card. Unfortunately we leave for a month away today and that card was my “travel card” and I (maybe stupidly) have no backup. Just my current account, BA Amex and Gold Amex. 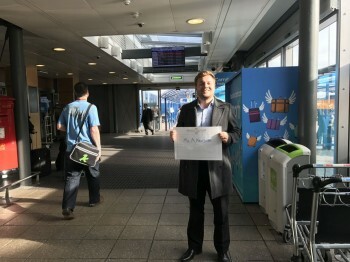 The exam question: Is there anywhere in LHR T5 that I can pick up some form of pre-paid travel card that will make things cheaper for me? I’m so used to not thinking about small bank transactions and not carrying cash. @Ben. What have you said to Halifax about your impending trip? I would be pushing them to come up with a solution, such as sending to your overseas. Could you get them to provide the new card number and add it to Apple/Android Pay if you have that? Is it Halifax’s fault that the card was used fraudulently? Which bank will tell you a card number? My point being that card replacements happen all the time, there will be a standard process and SLAs. Is there anything Halifax can do in terms of offering great customer service to help their customer out? Perhaps they won’t be able to help but if you don’t ask then there is no way of knowing. Fault is irrelevant. Not sure why you only have the Halifax Clarity card as its not the best deal for withdrawing cash in the EU as interest is charged from the moment you withdraw. So its generally sensible to have a Metrobank account too as they offer completely fee free cash withdrawal EU wide. Speaking of which if your trip is in the EU you can walk in to any Metrobank branch in the UK with a couple of forms of ID (say driving licence and utility bill) and an account will be set up and a debit mastercard on that account issued to you there and then before you leave the branch. You should then be able to move funds to that new account almost straight away using a Faster Payment from your current bank account. No free credit period but you avoid all of the usual 3% foreign exchange rate rip off in other EU countries. Also speaking personally I also have a Halifax Clarity Mastercard (very mean limit of just under £2,000 they refuse to increase), a legacy foreign exchange rate fee free in EU Nationwide Cash Reward Visa card with a better £6,000 limit and a Lloyds Rewards Avios exchange rate fee free card (for a few more months in my case) plus basic Blue Curve card on which transactions are exchange rate fee free or only at 1% depending on the circumstances (depending whether its the weekend or not and whether you are over their exchange rate fee free limits). But still the risk of the loss of wallet or mobile phone is always there and card issuers who will ship you a replacement card outside the country of original issue are still infuriatingly few and far between. For that reason I always split up my cards between two different places in my luggage or clothes when I’m travelling so I don’t lose them all at once. Amex has a 3% forex fee for overseas spend. So £100 will cost you £103. Any “travel” prepaid card will cost just as much extra or more. Do you have any other credit card for places where Amex is not accepted? If not, then does your current account debit card charge you a per-transaction fee? If there is a fee per transaction then your cheapest option is just to withdraw cash and minimise the number of times you do that. If there isn’t, then it will also have a 1-3% forex fee, so just pay with that. Or if you live in London go to bestforeignexchange.com and exchange cash. No 3% Fx Fee on the Lloyds Avios Rewards Amex card for overseas use until such time as they cancel my current card and replace it with the lower earning Avios only Mastercard product. Trying to find which overseas retailers would accept Amex has been quite a fun game. Was your Halifax card part of the BA data breach? If so I’d seriously contemplate sending them the bill for the increased costs you’re facing as a result! If you’re stuck with just a choice of the BA or Gold amex then go for the gold as the two MR per £ for foreign spend is the better earning rate. The Post Office sells a loadable card that I think can be in FX. Not sure if the mini-post office at Heathrow will have it though. Doesn’t Tesco have Visa gift cards in various denominations, on their gift card racks alongside the gift cards for other retailers? Visa gift cards have an activation fee (e.g. pay £53.95 for £50) and likely have a 3% forex fee, so might as well just use one’s regular credit card or even debit card. Many UK bank debit cards charge a per-transaction fee so best to withdraw the daily limit in cash. Also, some visa gift cards can only be used online. Isn’t the new BA lounge in Rome supposed to be rather nice as well? I’m looking forward to trying it at Easter. Good point, I’d forgotten that – but, yes, it is. And also the new Premium Plaza lounge with made to order pasta and pizza. Flying BA0001 to JFK on Sunday. I can now use the First Class Lounge. Great timing! Do I just ask for it when dropping my luggage? If you pay the dosh and then you’ll end up back at the terminal. Waste of time. You annot use this lounge and car service if you are on the CWLCY service. You can get a meal at Piloits restaurant though. They usually give you a letter at check-in with what you can have. I tried to get breakfast at Pilots in May but left after coffee and OJ as the service was so slow. Just as well as the food on BA001 was very good and plentiful. You will get a substantial first course on the way to Shannon. It was (excellent) vegetarian sushi or fruit kebabs on my flight. Not had a problem the couple of times I’ve been to pilots. Though given Nori is flying on Sunday it may be quieter than the rest of week as it’s a lunchtime flight. I just wish they’d do a different starter – the vegetarian sushi and fruit bruschetta has been on the menu for ages with only limited variation. Thank you! So looking forward to my flight. Without HfP I could only dream about it.